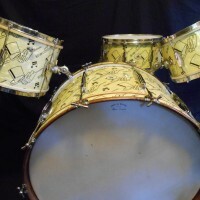 The Ludwig and Ludwig 1940s Top Hat and Cane “Swing Sensation” model drum set is considered by most collectors to be the most sought after of all vintage drum sets. 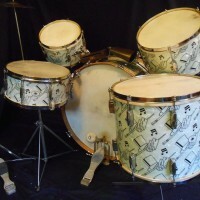 They were made for a very short period in the early to mid 1940s. 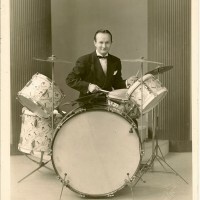 It was the absolute top of the line in the entire drum industry at the time. It was the best money could buy. 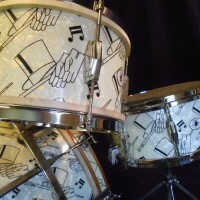 The exclusive Top Hat and Cane graphic added an additional touch that propelled the set to an even higher level of excellence and established this set’s legacy as the holy grail of all vintage drums. 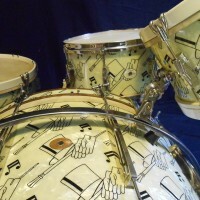 Very few were ever made and only about 15 of these sets are known to still exist. I have had the un-common good luck to have owned 6 of these sets. I still have 3 of them. 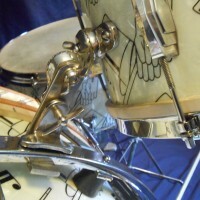 Over the last few years I have been doing complete and thorough restorations of each of the 3 sets. 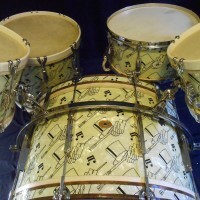 For the most part all of the drums were in great condition to begin with but I decided that these extraordinary sets deserved to be restored as close as possible to their original glory. 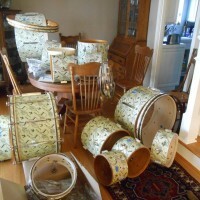 It took about 3 years of tracking down parts, having parts made, shipping parts around the country to be polished and then just a lot of waiting. It was a huge project. Keeping track of so many identical parts coming and going all over the country tested the limits of my organizational skills. 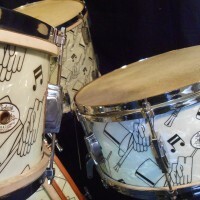 Here’s a few photos of the completed sets and some of the drums in progress. 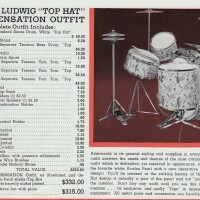 All 3 sets are currently for sale and on the “Donn’s Drum Vault” section of this website. 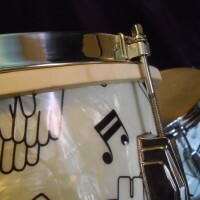 You’ll see full descriptions and lot’s more photos. It was a huge amount of work but I’m so happy with the final result. 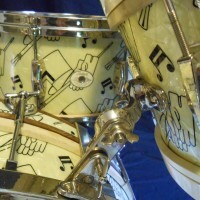 Major kudos to all of the highly skilled drum craftsmen that helped me with this project. 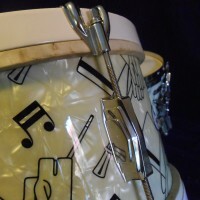 My intention is to sell 2 of these sets. Whichever set remains I will keep in my permanent collection. Enjoy the photos feel free to comment. Please let me know what you think.